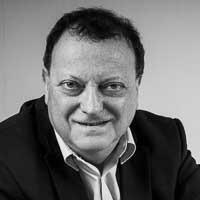 Len Freedman joined TC Young as a consultant in April 2013 and has specialised in the housing sector since 1995. He was ranked for 12 years as a “leading individual (Band 1) in both Chambers and Legal 500 and is now classified by Chambers as Senior Statesman to the sector. Len has acted for both funders and Registered Social Landlords (RSLs) in Credit Facility and Amendment and Restatement Agreements, and acted in the original bond issues to Scottish RSLs. He led the team, comprising of several professors of Land Law in making represenations to the Scottish Government that resulted in legislation enabling Scottish RSLs significantly greater access to long term funding arrangements, including bond funding. He is currently advising a number of RSLs in this area as well as advising on avoiding covenant breach. Until moving to TC Young Len was, for over five years, lead solicitor for Scottish Government’s Low Cost Initiative for First Time Buyers (LIFT) scheme as well as principal adviser to Scottish Government on issues arising from shared ownership and Guidance on Partnership Support for Regeneration. He is also a former Secretary of the UK wide Mining and Mineral Law Group and was lead legal adviser to the consortium that acquired the Scottish coalfields from British Coal. In 2013/2014 Len was instrumental in bringing about changes to financial services law that benefited Scottish RSLs, wrote the SFHA Guidance to the sector on that area, advised on one of the first successful debt advice applications to FCA under the new consumer credit arrangements and is acting for several more on obtaining and, where circumstances permit, avoiding FCA authorisation. He was actively involved in many of the Scottish Homes and the majority of the Local Authority transfers where he led teams acting for RSLs, funders, local authorities, and Scottish Homes in the transfer of approximately 120,000 houses to the RSL Sector. He drafted the Scottish Guidance on risk allocation for local authority transfers and is generally credited with creating their template documentation. Len is forensic in his approach to client work, searingly bright and impressively tenacious. His unparalleled knowledge of the intricacies of the law and his tenacity pursuing them is invaluable to us as clients and other clients he serves.